Home New York Giants New York Giants: What Options Remain At Right Tackle? New York Giants: What Options Remain At Right Tackle? The New York Giants have holes all over their roster. After a wild free agency period, the Giants managed to create more holes and fill barely any of them. One gaping hole on the roster is at the right tackle position. After missing out on premier right tackle Daryl Williams in free agency, the Giants were not left with very many options. The Giants need to upgrade the right tackle position as soon as possible. However, their options are running thin. If the Giants want to sign a right tackle in free agency, they will need to do it soon. The market has really dried up over the past two weeks. The Giants met with a free agent from Minnesota, Mike Remmers. According to his agent, the meeting went well and the team will likely sign Remmers, however, nothing was imminent. Since then, we have not heard a peep. This leaves some fans wondering when this contract will get done or if it will get done at all. If the Giants are unable to sign Remmers, who would they turn to? There are a few veteran right tackles sitting on the free agency market. One name the Giants could consider is Jared Veldheer. According to Pro Football Focus, Veldheer is an immediate-impact free agent who played well in 2018 before going down with an injury. He earned a 62.4 overall PFF grade which is much higher than Chad Wheeler’s overall grade of 47.4. If the Giants end up missing out on Mike Remmers, it would be wise of them to turn their attention towards Jared Veldheer or a prospect in the draft. A lot of speculation has begun surrounding the Giants’ 17th overall pick in the 2019 NFL Draft. The pick was acquired via trade from the Cleveland Browns. Many fans and experts have been predicting that the Giants will draft a right tackle at 17 in their respective mock drafts. A few great tackle options will be available at 17. Names to keep an eye on include Cody Ford, Jonah Williams, and Dalton Risner. Cody Ford played right tackle for Oklahoma and did a phenomenal job protecting the Heisman Trophy Winner, Kyler Murray. Ford is an excellent pass blocker. He only allowed 8 pressures in 2018 as a full-time starter. Cody is an extremely athletic offensive tackle. He was impressive at the NFL Combine and consistently showed elite agility on tape. This athletic ability might cause a team to move Ford to guard, but if he were to be drafted by the Giants, he would play right tackle. Jonah Williams is similar to Cody Ford in the sense that teams will consider moving him to guard. This is because Jonah is a bit undersized for the offensive tackle position. Despite this, Williams was a consistently great player during his time at Alabama. Jonah played left tackle in college, however, he could be moved to the right side since the Giants already have Nate Solder. Williams allowed only 10 pressures in 2018 and was also Pro Football Focus’s 3rd ranked run-blocker. Williams has been mocked all over the place from the top 10 to the top 25. If he slides to 17, the Giants will have to consider drafting him. Dalton Risner is a technically sound offensive tackle prospect out of Kansas State. Risner allowed only 28 pressures on 1,489 pass-blocking snaps in his college career and could step in and start immediately at right tackle for the Giants. 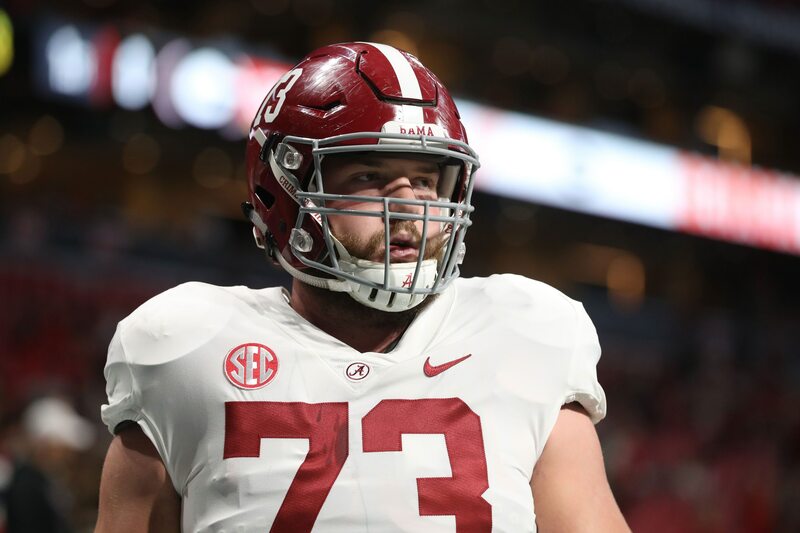 He did not face the same type of elite defensive talent that Cody Ford and Jonah Williams faced, however, he was still an elite collegiate offensive tackle. Risner could be an absolute steal for the Giants at 17, or if he falls all the way to the second round (which he might). Could New York Giants Surprise Everybody With Alternative Quarterback Option?